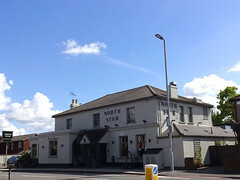 Pub in Chessington. It's one of the Ember Inns sub-brand of Mitchells & Butlers. Food served all day until 9pm; snacks available until last orders. Opening hours and food times taken from website, June 2009. Last edited 2017-08-01 10:34:10 (version 12; diff). List all versions. Page last edited 2017-08-01 10:34:10 (version 12).